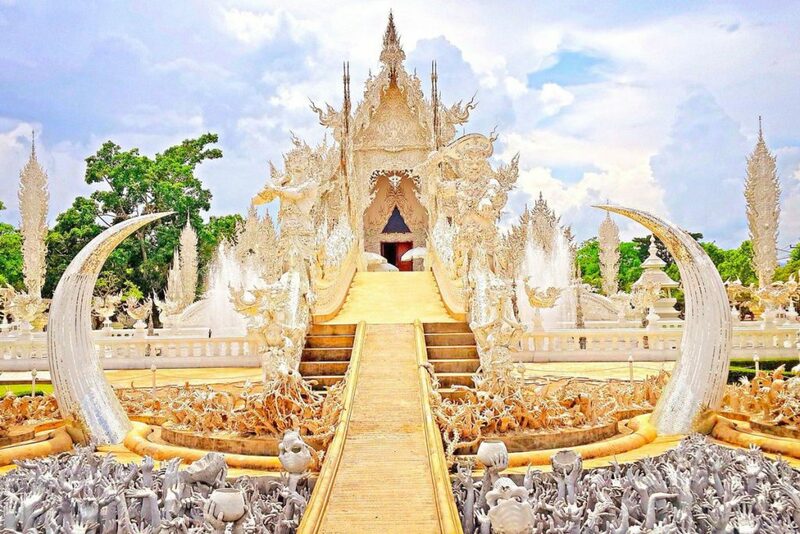 With three ancient kingdoms in its history and several hill tribes living within its borders, Thailand has a colorful and diverse culture that makes it an attractive location for a culture seeker. We’ve mapped out a two-week holiday that will give you all the culture that you need. A trip to Thailand always begins and ends in Bangkok. The cultural tour begins at the Suvanabhumi International Airport, where the giant Yaksha stands guard. There, at the airport shopping area, you will also find a three-headed snake wrapped around a rock with the supreme Hindu deity, Vishnu, on top. Explore the temples around Bangkok, but don’t get too carried away. There are 400 wats in Bangkok alone, so make sure to visit the more significant temples. Wat Pho, where the Reclining Buddha is displayed and where one of the oldest massage schools in Thailand is located, is a must visit. From there, you can reach the Grand Palace and Wat Phra Kaew, where you will find the Emerald Buddha. If you have time, take a ferry to visit the beautiful spires of Wat Arun or head to Wat Mahathat, an old temple built during the Ayutthaya period, where you will find the oldest higher education institute for Buddhist monks in Thailand. After spending a whole day on temples, move on to the plethora of art galleries in the city. A bit like the Guggenheim in New York, the impressive structure of the Bangkok Art and Cultural Centre houses a large exhibition area, an art library, and a cafe. Here, you can also pick up the Bangkok Art Map which will give you leads to smaller galleries in Bangkok. 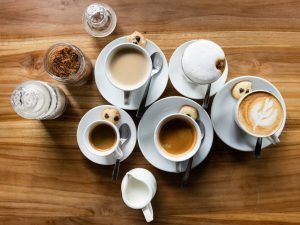 Other locations you must visit are the Museum of Contemporary Art (MOCA), the National Gallery, and Jim Thompson House Museum. Take the 7:45AM passenger train from the Thonburi Station to the River Kwae Bridge Station to experience going across the historical landmark. As you wait for the returning afternoon train back to Bangkok, visit the Death Railway Museum and the Allied War Cemetery. 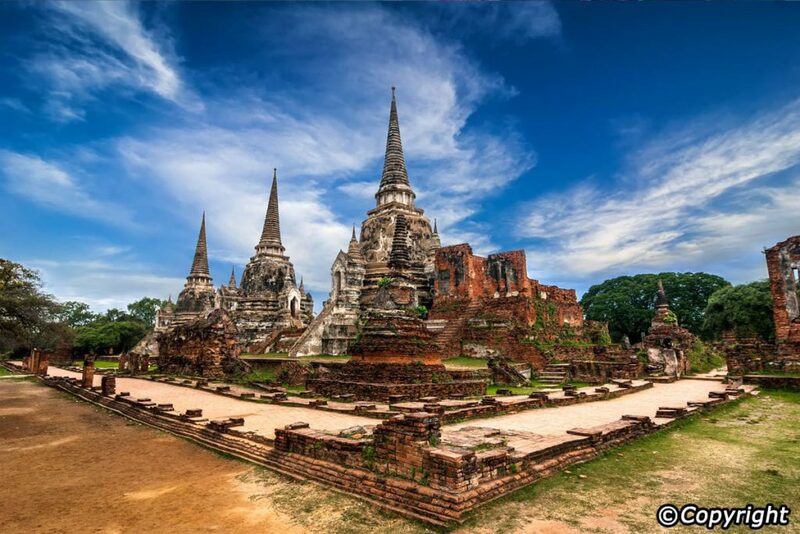 Another day trip from Bangkok, hop on a train from Hualamphong Station for 330Baht for a comfy first class seat or catch a bus from Mo Chit Station for 50Baht to get to one of Thailand’s ancient kingdoms, Ayutthaya. Rent a bicycle and explore the temples that dot the area. It may not have gained as much popularity as Angkor Wat or Bagan, but the ruins of this area has a haunting charm that makes it worth a visit. This is also where you will find the iconic tree growing over a Buddha head that can be seen a lot on Thailand travel brochures. 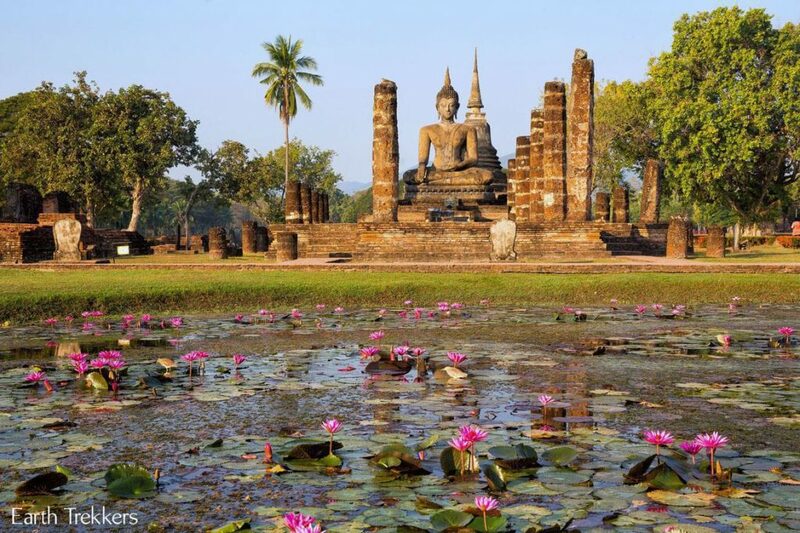 From Ayutthaya, hop on a train to Sukhothai, where you shall see the beautiful ruins of another one of Thailand’s old kingdoms. The train is the best option as the city is around 5 hours away from Ayutthaya and getting comfortable seats makes it worth paying 455Baht for the ride. Rent a bike and explore the complex. Aim to find Wat Si Chum, where you will be awed by the giant seated Buddha that lives in this temple. Made popular by its perfectly shaped slender fingers, this Buddha aka hand model always makes it to the pages of travel brochures. While you are in area, make sure to sample the famous Sukhothai noodles. If you have the budget for it, you can fly to Chiang Mai from Sukhothai. A cheaper but less comfortable option would be the 6.5-hour bus ride to the northern region of Thailand. 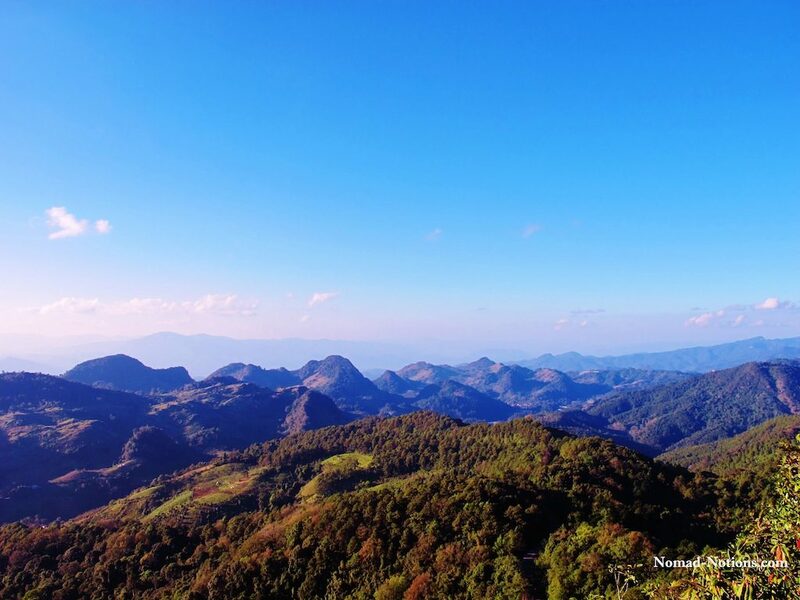 Chiang Mai, the region where you will find traces of the architecture of the Ancient Lanna Kingdom in its temples and old houses, is also the gateway to the hilltribe villages of Northern Thailand. 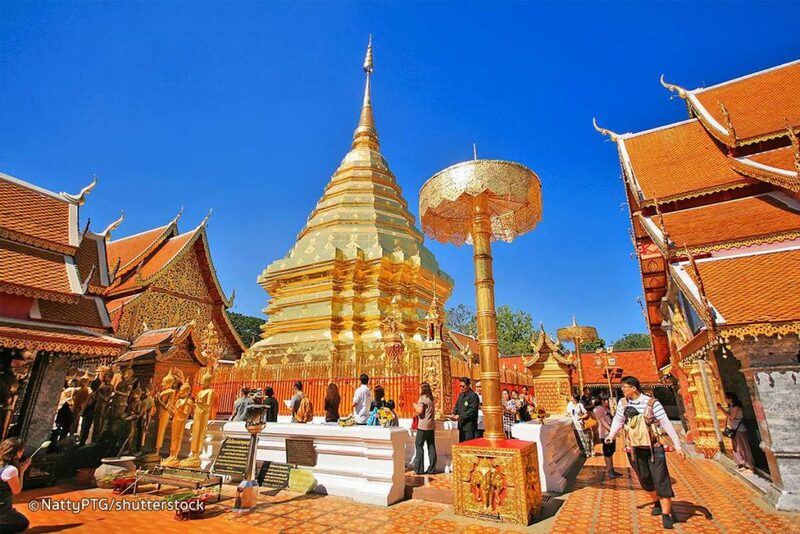 Spend a day or two touring the city to check out the significant temples: Wat Phra Singh, the most attractive among all the temples in Chiang Mai with its glittery wall art, Wat Chedi Luang with its pyramid structure, and the highly revered Doi Suthep. 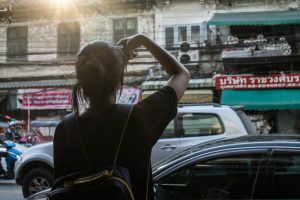 The easiest way to explore Chiang Mai is to hire a scooter but if you are not feeling confident about your driving skills, then taking the bus would be your best option. From Chiang Mai, Chiang Dao with its cave temple filled with religious statues is around 2 hours away by bus. 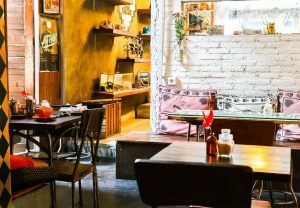 Either stay in the area as there are some charming, budget-friendly guest houses there or hop on a bus to get to Chiang Rai. 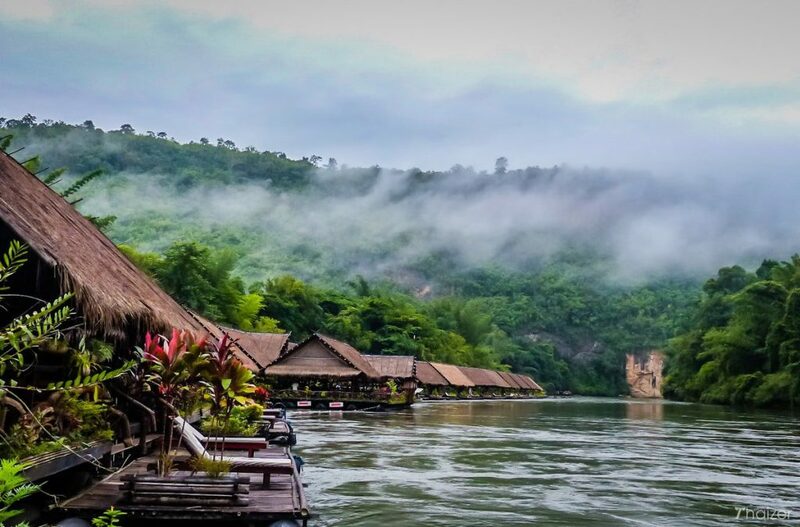 In Chiang Rai, some places of interest are the shining structures of the Golden Triangle, the Opium Museum, and the hill tribe villages that dot the museum. Two of the best villages to visit are the Lahu Village and the Ban Huai Kee Lek Village which are easier to arrange with tour operators. Although it may not seem comfortable, book a homestay and spend some time with the locals to get to know their way of life. Let us know if you have any other locations to add to the list.